Singapore features islands, beaches and wonderful rivers crossing it – all of these attract visitors from all around the world. With a delicious cuisine, a mild climate and a fascinating history, Singapore is also a leader in medical technology, finance, IT development and electronics. 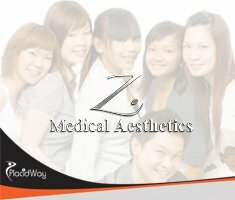 Why Health Tourism in Singapore? Singapore has the reputation of being one of the most popular medical tourist destinations in Asia. Flawless medical care and medical facilities await those who travel from around the world to benefit from the country’s highly trained doctors and surgeons in the fields of dentistry, cardiac and orthopaedic procedures and organ transplant programs. There are nine JCI (Joint Commission International) accredited hospitals in Singapore, that provide excellent medical services and quality for nearly all medical and health needs, at a tenth of costs paid for the samemedical care in the U.S. Hundreds of thousands of international travelers visit Singapore every year in order to benefit from low-cost surgical procedures and flawless care and facilities. Singapore is beautiful a country with high quality medical facilities, advanced medical equipment and renowned, highly trained doctors and surgeons. More and more medical tourists choose it, thanks to its flawless health care system and affordable prices. Find out everything about treatment options in Singapore! Contact us today!